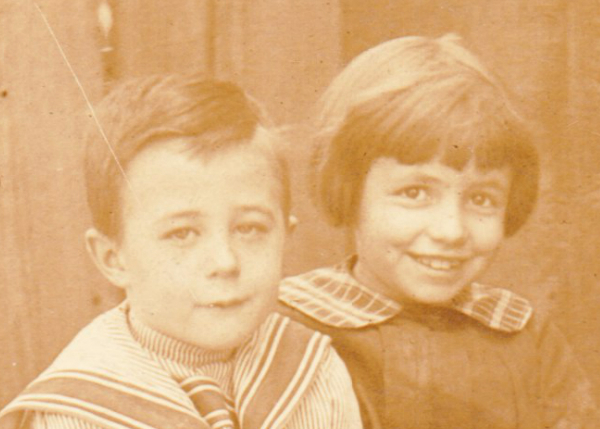 This real photo postcard dates from between 1904 and 1918, according to the AZO stamp box on the back. But, unfortunately, there is absolutely no information. So we have two early 20th century children, a boy and girl, sitting in a small cart that the goat might or might not choose to pull. (That is a goat, right? I had a moment of doubt when I thought there was a possibility it was a ram.) It's very nice of the goat to look toward the camera for the photograph, by the way. In case you're curious, a 2013 article on Thrifty Homesteader discusses the use of goats as cart-drivers. It states: "Goats have excellent work ethic and know how to please." No goats, however, were interviewed for the article. I guess there's a very small chance, taking the later AZO range, that the boy is still alive, at age 104 or 105. If you're reading Papergreat, goat-riding boy, drop me a line and I'll return this postcard. 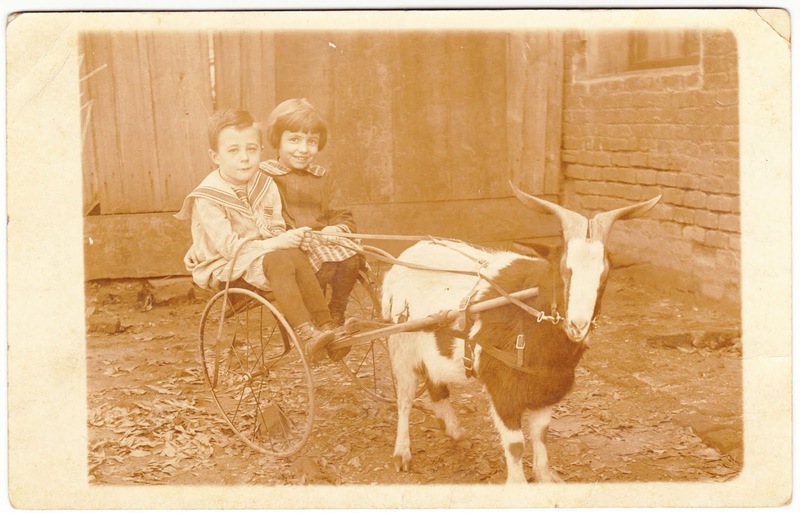 I have a photo of my grandma in a goat cart from the late 20's or early 30's. It definitely qualifies as one our more unique family photos.